Welcome to Sparkjoy Sites. This is your first post. Edit or delete it, then start blogging! Another session of the workshop begins in January 2012 (see details above). “Every Road Has a Destination” — Malaysia’s Quill Magazine, October – December, 2011 issue, features my article about the road to publication, reprinted here by Eric Forbes in his book addict’s guide to good books. November 2, 2011 Sharpen your pencils! I’ll be leading a fall session of the workshop The Novel: Mapping it Out, 7 Wednesdays at Langara College, 100 W. 49, Vancouver, 6:30 to 10 pm. Registration required. 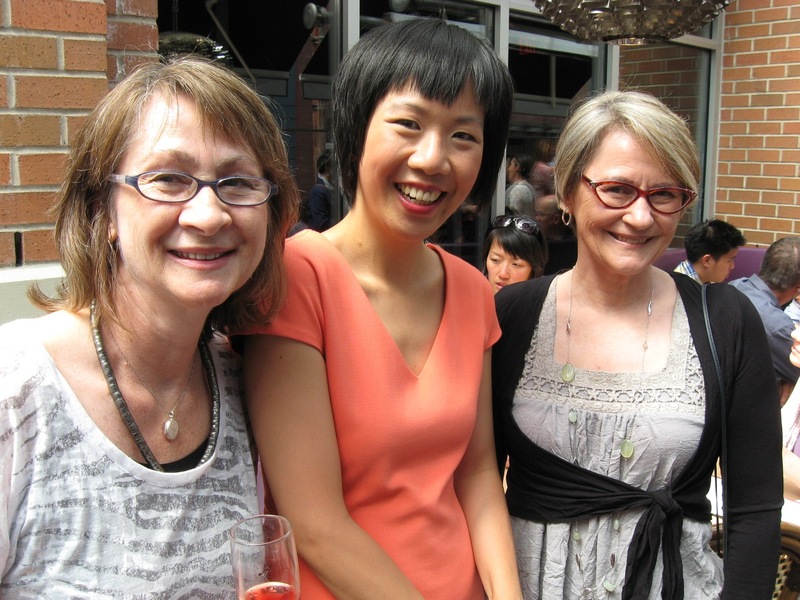 October 20, 2011 SPiN writing group pals Jen Sookfong Lee, Mary Novik and June Hutton get a nice mention in Lachlan Murray’s blog for the Vancouver International Writers Festival. It’ll be our ten-year anniversary next year. Stay tuned for the party. 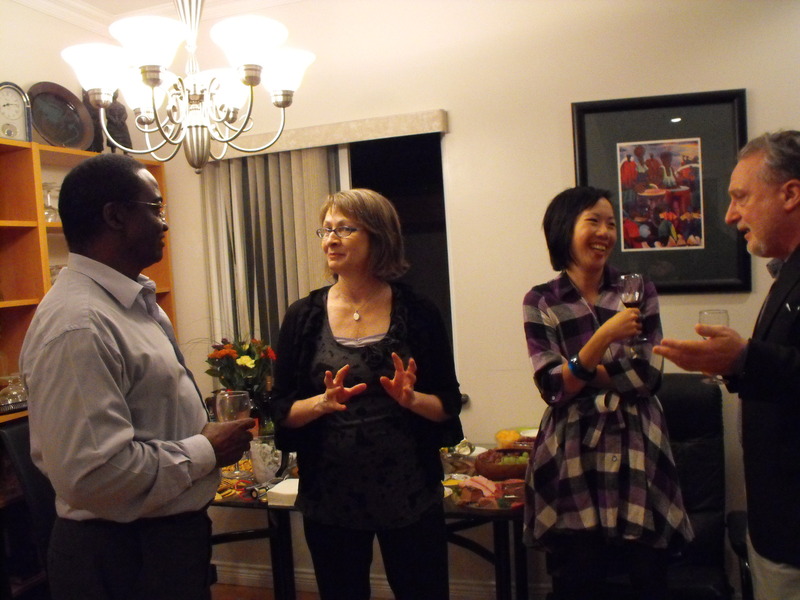 (L to R) Ode Iweh, June Hutton, Jen Sookfong Lee, and Dennis E. Bolen at wine and cheese gathering for novelist Ngozi Achebe (see below). 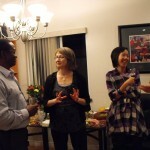 October 15, 2011 The Nigerian Canada Friendship League presents A Dialogue on African Literature. Guest speaker and author is Dr. Ngozi Achebe, Onaedo: The Blacksmith’s Daughter. Readings by Julie Okot Bitek, The Dry Season and June Hutton, Underground, followed by panel discussion “The State of African Literature Today” with Prof. Gloria Onyeoziri-Miller, UBC, Dr. Charles Quist-Adade, Kwantlen Polytechnic University, and authors Julie Okot Bitek and June Hutton. Buchanan Building A 101, UBC, 6-9 pm. Kind mention of Julie Okot Bitek and June Hutton at the above event in the Sierra Leone news portal The Patriotic Vanguard. 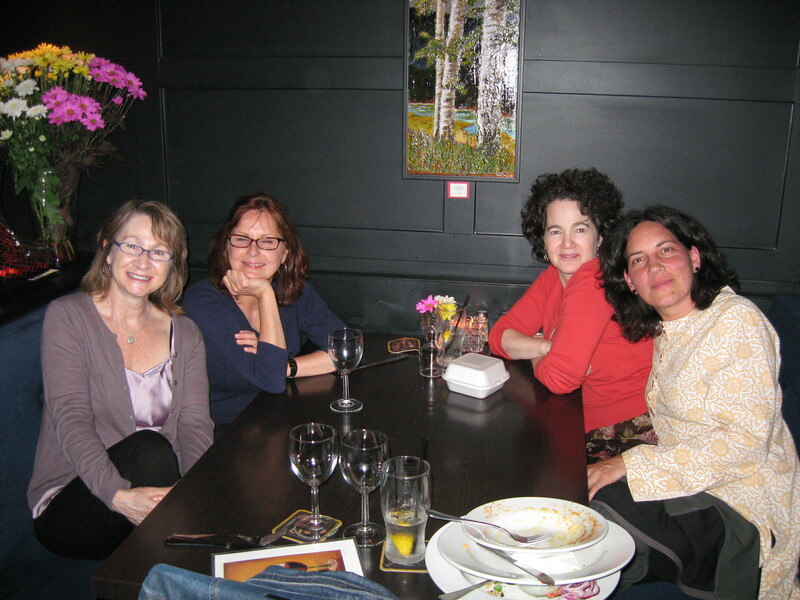 Celebrating the end of a summer workshop with a few members of my Langara class Fiction Writing: The Ongoing Story, (L to R), yours truly, plus Jan Petersen, Carol Friedmann and Sally Ogis, at Chaise on Main Street. This group, along with members of my other writing workshop The Novel: Mapping it Out, took part in lively readings and discussions of their works, despite competition for their attention most nights from the Stanley Cup finals. Vancouver’s own Canucks hockey team was playing, and yes, some of the class members were ardent hockey fans, but the writer in each prevailed . . . most nights. 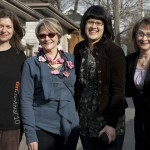 Dierdre Dore has won the 2011 Western Magazine Award for fiction for her story “Sappers Bridge”. Congratulations to Dore and to all the finalists. Fiction judges: June Hutton, Eileen Kernaghan, Lee Kvern. 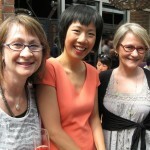 June 12, 2011 SPiN members (L to R) June Hutton, Jen Sookfong Lee and Mary Novik at the Vancouver launch of Jen’s novel The Better Mother (Knopf Canada). About the friendship between a gay photographer and a dancer, The Better Mother looks at not only the lively burlesque era, but also at the outbreak of the AIDS epidemic in 1980s Vancouver. Jen’s first novel was The End of East (Knopf Canada 2007) and she is the first member of the SPiN writing group to have a second novel published. For more information about Jen and her work, please see her website. For more about the group, please see the SPiN website. “The Art of Distraction: How not to finish that book” Journalists-turned-authors Linden MacIntyre, June Hutton, Terry Gould, Hilary Davidson and Roy MacGregor reveal favorite avoidances in an interview in the print version of the Ryerson Review of Journalism, p. 9, Summer 2011. 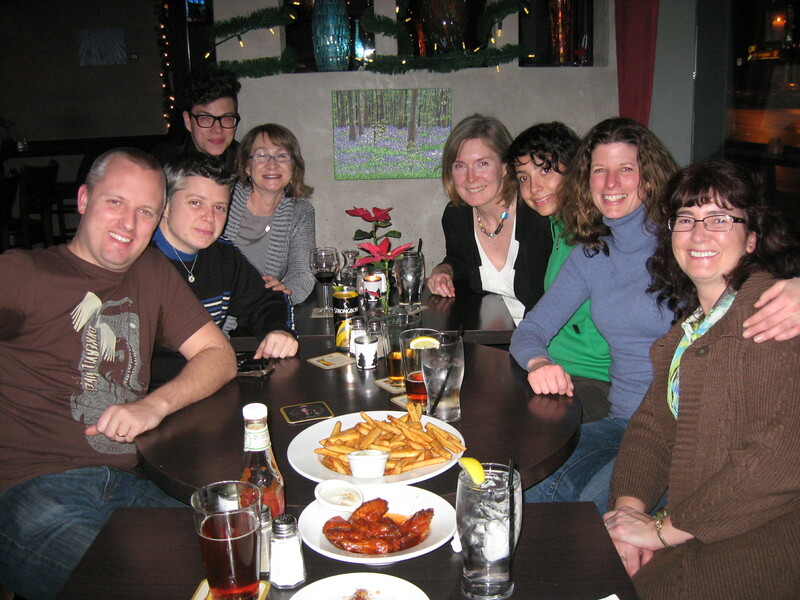 June 1-July 27, 2011 A summer workshop for budding novelists: I’ll be leading The Novel: Mapping it Out, 8 Wednesdays at Langara College, 100 W. 49, Vancouver, 7-10 pm. Registration required. 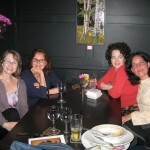 May 30-July 18, 2011 For the short story writer in you: I’ll be offering the workshop Fiction Writing: The Ongoing Story, 8 Mondays at Langara College, 100 W. 49, Vancouver, 7-9:30 pm. Registration required. March 6, 2011 Yarn-bombing at Joy Kogawa House. 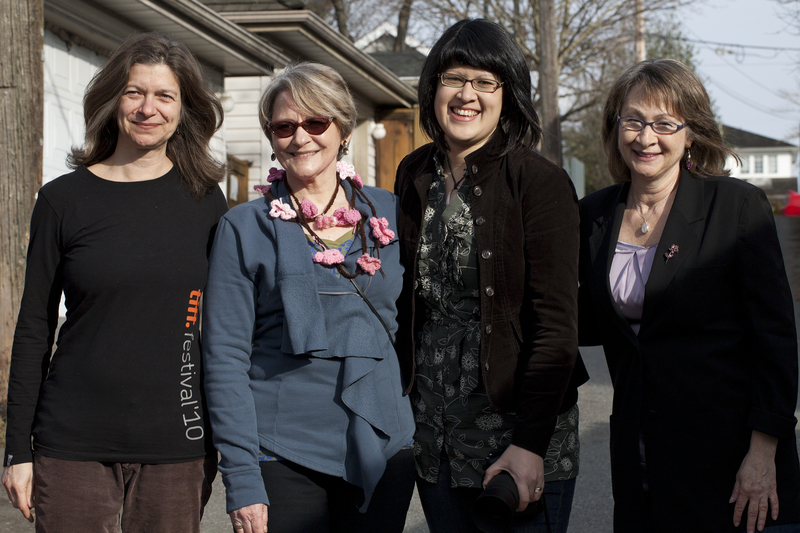 Join Yarn Bombing authors Mandy Moore and Leanne Praine, along with writers (in photo L to R) Zsuzsi Gartner (Better Living Through Plastic Explosives), Mary Novik (Conceit), Nancy Lee (Dead Girls) and June Hutton (Underground) who will read from their works while volunteers knit blossoms in a public art event at this literary landmark, 1450 W. 64th Ave., Vancouver, 2-3:30 pm. Photo by Janis Brass. 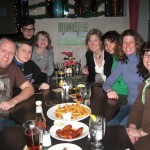 February 23-April 13, 2011 For budding novelists: I’ll be leading a writing workshop The Novel: Mapping it Out, 8 Wednesdays, Langara College,100 W. 49, Vancouver, 7-10 pm. Registration required. February 15, 2011 June Hutton 的 “地下” Underground is the topic of discussion at the Suzhou Bookworm’s Book Club, Suzhou, China. February 15, 2011 Release date of SPiN pal Jen Sookfong Lee’s young adult novel, Shelter. January 2011 I’m kicking off the new year with a couple of events in the People’s Republic of China (see below). Also, Underground is listed under Open magazine’s “Book Recommend” column in the print version of the publication in Suzhou, near Shanghai. January 7, 2011 A dinner discussion with June Hutton hosted by the Suzhou Bookworm Writers’ Group, Suzhou, China, 7:30 pm. I had a wonderful time! Pictured here is The Suzhou Bookworm Writers’ Group at the Worm. Seated from L to R, yes with our coats and scarves on in chilly China, Guilio Perroni, Sybil Pretious, (guest, Tony Wanless), Steve Howrie, Jacqueline, Jesse Michael, (me), and Erin Garnham. Many thanks to chef/photog Ben Potter. January 8, 2011 I gave a talk as well as a reading from Underground at the Suzhou Bookworm, Suzhou, China, 2 pm. This unique bookstore is also a bar, restaurant, jazz club, and literary venue. 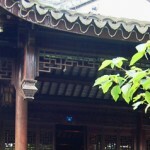 Its sister shop is housed in a former Buddhist temple (shown) perched on a Myng dynasty canal bridge in the historic Old Town. I”ve been meaning to write to you to tell you how thoroughly I enjoyed Underground. Al is still living for me. (Every time I went to Chinatown as a kid , I used to imagine mysterious goings on in the regions under those strange semi-translucent tiles — that episode resonated very powerfully.) Congratulations — it’s a tremendous achievement. — Paul Headrick, author, That Tune Clutches My Heart. Just a short note to say how much I enjoyed Underground. What a remarkable accomplishment. I know that the buzz around your novel will continue to grow, most deservedly, in the days and weeks to come. — David Chariandy, author, Soucouyant. Very impressive. All sorts of vivid, compelling scenes, and your man Al is wonderfully real — one of those rare characters who will live on in my circle of fictional friends. — Heather Burt, author, Adam’s Peak. I have finished June’s book and found it an excellently told tale. The Spain setting was of particular interest since I had just finished a book on the Spanish civil war loaned to me by my son-in-law, Dan, whose father is from the Basque region. Her depth of research shows. Next in line to read Underground is Wendy, my wife. Then Dan gets his turn. – Tom Myles, currently of Ottawa, formerly chief engineer of the hydro dam project at Whitehorse and member of the Whitehorse Drama Club. November 16, 2010 My hosts White Rock Library and Semiahmoo Arts Literary series invite you to join me for a discussion of war and remembrance along with readings from my novel Underground. There will be two appearances in White Rock, B.C. on this date. I’ll be the guest author at Titles and Tea Afternoon Book Club, White Rock Library, 15342 Buena Vista, 2:00 pm. In the evening I’m at the Semiahmoo Arts Literary Series – Readings by the Salish Sea, Pelican Rouge Coffee House, 15142 North Bluff Rd. White Rock, 604-536-8333, 7:30 pm. November 12, 2010 — Underground is now available in ebook format! November 5-11 Veterans’ Week. I’ll be remembering in particular our volunteers in civil war Spain — the MacKenzie-Papineau Battalion, Canada’s forgotten soldiers. They won’t be named at any of the regular Remembrance Day ceremonies held across the country (click above link for locations) but we, as individuals, can remember them. The winners of Room magazine’s 2010 Writing Contest have been announced. Click here. Judges: Fiction – June Hutton, Poetry – Jennica Harper, Non-fiction – Lynn Van Luven. Room Magazine‘s fall issue Past & Present features an interview by editor Janet Nicol with the SPiN writing group: Jen Sookfong Lee (The End of East), Mary Novik (Conceit) and me, June Hutton (Underground). September 24, 2010 Underground is in the ring again as Barrie Councillor Jeff Lehman defends it against other Evergreen Award titles in the annual Barrie Reads. September 23, 2010 Underground takes to the stage for the annual Kingston WritersFest Battle of the Books. Defending my novel against other titles nominated for the Evergreen Award will be Col. Rick Fawcett, Base Commander at CFB Kingston. Booyah! Kingston Reads Book of the Week: Underground, including the pitch by Col. Rick Fawcett (see above). September 15, 2010 An Afternoon with June Hutton Maryvale Library, Parkway Mall, 85 Ellesmere Rd., 2 pm. September 14, 2010 I’ll be appearing in the Toronto Heliconian Club‘s Literary Lecture Series to talk about Underground, 35 Hazelton Ave., 7:30 pm. The Malaysian Insider posts an interview with me by Eric Forbes, senior book editor with MPH Publishing in Kuala Lumpur, Aug. 28, 2010. Mary Soderstrom’s blog Recreating Eden looks at video trailers for novels, including Underground’‘s. July 15, 2010 Extended deadline for Room magazine’s annual writing contest. 1st prize $500; 2nd prize $250. Judges: Fiction – June Hutton, Poetry – Jennica Harper, Non-fiction – Lynn Van Luven. A lovely photo spread of book covers – just click on Underground‘s for a short but very sweet review from My Own Creations. June 3, 2010 The 75th anniversary of the On to Ottawa trek, which began with street demonstrations in Vancouver protesting the treatment of unemployed men. Many of those protesters went on to fight against fascism in the Spanish Civil War, as did Al Fraser, protagonist of Underground. “By turns lyrical and relentless in its unvarnished depiction of the impact of war, Underground offers a timely read as soldiers and civilians perish daily in Asia, the Middle East and elsewhere on the planet,” writes Evelyn C. White (Alice Walker: A Life, and, Every Goodbye Ain’t Gone: A Photo Narrative of Black Heritage on Salt Spring Island) , HERIZONS magazine, spring 2010 issue. “An engaging and thoughtful story set in the early decades of the tumultuous 20th century” — review of Underground by Historical Novels Review, Charlston, Ill., Spring 2010 issue. 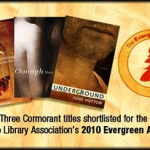 Underground is shortlisted for the Ontario Library Association’s 2010 Evergreen Award (click to see the full list of nominees). How the award works: Librarians nominate titles, from which a short list is drawn. Then from April to October the public will read the books and vote In October for their favorite title. Steven Galloway is last year’s winner for The Cellist of Sarajevo. Check here for further details on this year’s program. In the meantime, here is my author page. 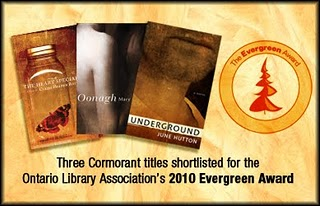 Underground gets some nice attention from Britain’s bookaholic litblogger Dovegreyreader Scribbles. Jan. 29, 2010. A review of Underground is featured on New Zealand’s Beattie’s Book Blog. “The subject matter will be of interest to many in this part of the world,” says Bookman Beattie. Jan. 28, 2010. My comments about The Writing Life appear on New Zealand’s Beattie’s Book Blog. Jan. 7, 2010. I shared some thoughts about writing style, Underground and SPiN in a chat with Toronto’s Evadne Macedo. Jan. 6, 2010. It’s a brand-new year and I’m ringing it in with a few comments about The Writing Life in an interview with Kuala Lumpur’s Eric Forbes. Jan. 4, 2010.